Do you know how to Install WordPress with Softaculous? If not, then don’t worry about it. Why? Because I”m gonna show you how to do this. Yes. this post is all about Softaculous WordPress install. How to Install WordPress Using Softaculous in cPanel? Due to the huge popularity of WordPress, most website owners wanna build their sites on WordPress. You can install WordPress either manually or with software. Manual WordPress installation is a bit techy and you may not get it comfortable. The good news is that there’s Softaculous that can do the job of WordPress installation super easy. For this reason, many hosting companies keep Softaculous for their users to install different scripts. Yes. Softaculous can install many types of scripts smoothly. Here, I’ll show you the use of Softaculous with Namecheap. Note that Namecheap offers Softaculous as a one-click installer. You can reach out to Softaculous from your cPanel provided by Namecheap. 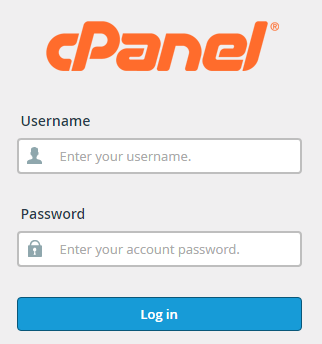 Go to the cPanel of your Namecheap hosting. On the cPanel, you’ll see “Softaculous Apps Installer” section. Click on “WordPress” and you’ll see the button “install”. Hit the “Install Now” button and then there’ll be another page to be filled with required information. Now fill up the form with correct information. In the “Choose Protocol” field, you’ll have to choose https as you’ve bought SSL certificate. Write the domain name and leave the “In Directory” field empty. Now, come to the Site Settings page and write your blog’s name and a nice slogan for it. You shouldn’t write your blog’s URL here, rather just write your blog’s name. I mean in the field, I’ve written SMNPOST (the name of my blog) without adding www. or .com. As you’re running a single site, you should leave the “Enable Multisite” box unmarked. Then choose your username and password. I recommend that you use a different admin name from your nickname. Also, choose a strong password for decent security. After that, click on the “Install” button. It’ll then complete the WordPress installation within a minute. So, you see that using Softaculous, the installation process of WordPress is very easy.